iPod users are muttering a sigh of relief this morning after Microsoft released a patch to fix some of the known compatibility issues with iTunes and the iPod itself. Many Windows Vista users were accidentally corrupting their iPod hard disks - ironically by selecting 'safely remove hardware' from their system tray. 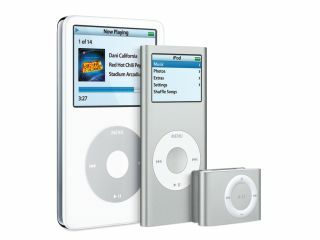 While Apple fixed many of the iTunes and iPod compatibility problems with Vista in the iTunes v7.1.1 update earlier this month, it did not fix the iPod corruption problem, leaving it up to Microsoft to resolve, despite saying it was "actively working with Microsoft to resolve a few remaining known issues". Early Vista adopters reported the iPod compatibility problem within hours of installing the new Microsoft operating system and it's taken the Redmond company nearly two months to fix. The latest Vista patch also resolves an issue surrounding Canon'd EOS-1D and EOS-1ds digital cameras. There were a number of display problems which meant Vista could not make full use of the cameras' features. Only users of legitimate copies of Windows Vista will be able to download the latest updates, as you'll have to go through the Genuine Windows validation process first. Updates can be obtained by visiting Windows Update .